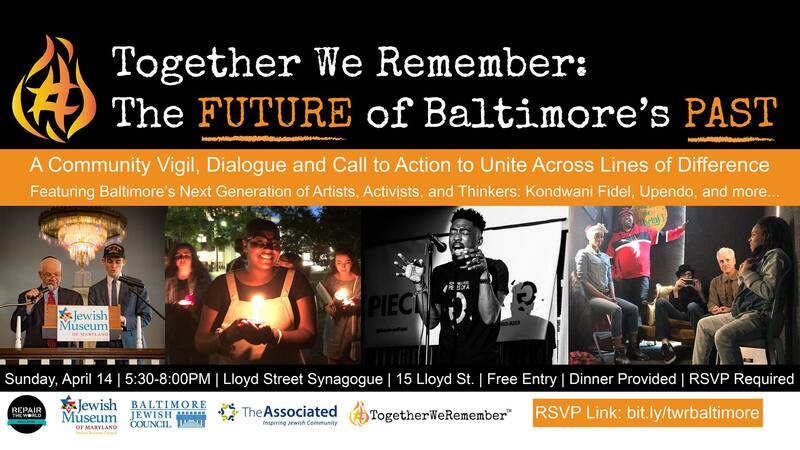 Join Baltimore’s next-generation of inspiring artists, activists, and thinkers at the historic Lloyd Street Synagogue for a community-wide vigil, dialoguem, and call to action that will unite our city across lines of difference to address rising hatred and ongoing violence. Celebrate and activate our renewed commitment to honor the victims of violence by looking out for one another with a concluding reception. Shift from Fear to Courage: Draw inspiration and strength from speakers and local performing artists: Kondwani Fidel and Upendo. Learn & Dialogue: Hear directly from those who are countering violence and fighting hate from their communities to City Hall. Engage in a dialogue activity on how we can counter division, prevent violence, and look out for one another. Go Public: Share our experience with others and invite the broader community to get engaged so we can realize what Baltimore can be at its best.